This unit has a 336×256 Focal Plane Array and a 17 Micron pixel size giving this scope a very high resolution in a 30 Hz FLIR Tau 2 VOx detector. The Zeus 3 336 30 Hz is the lightest and smallest in their class. 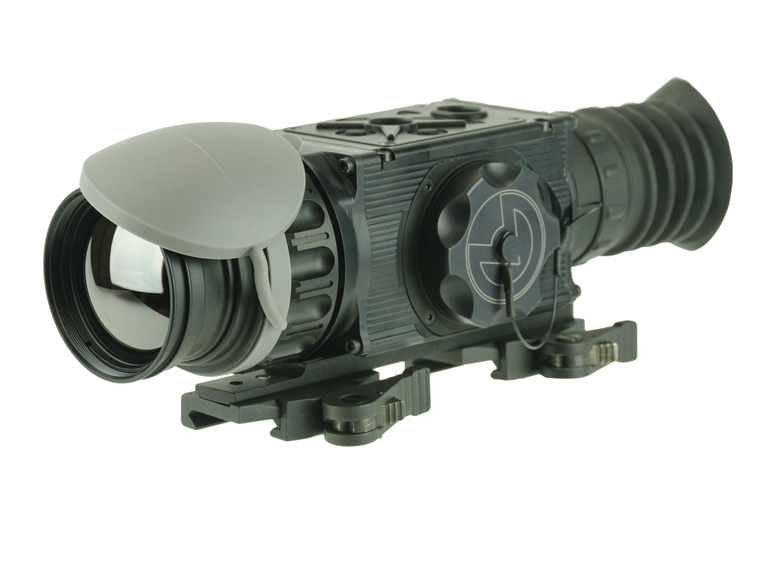 The Zeus 3 comes with a wireless remote switch to activate the thermal imaging weapon sight when positioned in the “standby” mode. This unit has a 336×256 Focal Plane Array and a 17 Micron pixel size giving this scope a very high resolution in a 30 Hz FLIR Tau 2 VOx detector. The Zeus 336 30 Hz is the lightest and smallest in their class. The Zeus 3 comes with a wireless remote switch to activate the thermal imaging weapon sight when positioned in the “standby” mode. Zeus weapon installation is easy and reliable based on a unique and highly user-friendly MIL-STD-1913/Weaver/Picatinny rail-compatible, quick-release locking mechanism. It features a electronic zoom (e-zoom) function which can be progressively increased from 1x to 2x to 4x without changing the point-of-aim to point-of-impact relationship to the target reticle.